THE Guernsey Press raised two thousand pounds for breast cancer charities as part of Breast Cancer Awareness month. On 29 October a cake sale was held, with all the proceeds going to charity. There was also a raffle and an auction, with every penny collected being split between Breast Cancer Care and the Pink Ladies. Contributions from advertisers were also passed on. Please click here for more information. EVERYTHING was pink in the advertising department at the Guernsey Press yesterday. 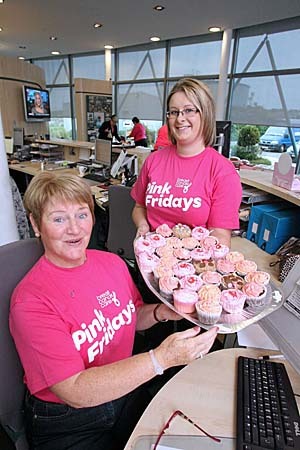 The newspaper organised a day of fund-raising for Breast Cancer Care and the Pink Ladies. Please click here for more information. a charity sprint for islanders will be back next year, if the relevant permissions are granted. This weekend saw the first such event opened up to the public. 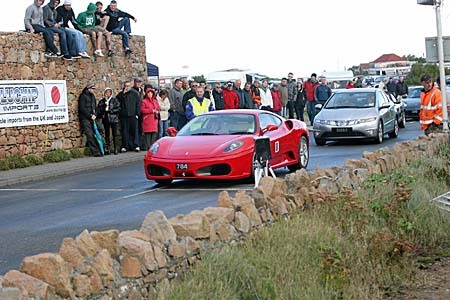 For a £50 entrance fee, islanders could race their car along Vazon Coast Road. The sprint is usually only open to members of the local motor clubs. Please click here for more information. 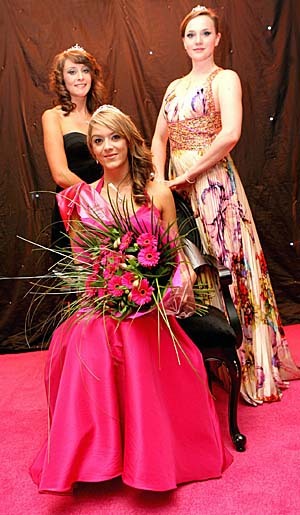 THIS year’s Miss Guernsey pageant was a tremendous success, according to one of the organisers. The competition was held for the first time in two years on Friday night and was put together by GBG Magazine with event organisers Inspire, which decided to make it a black-tie event for the first time. ‘I had high expectations but it has totally exceeded them,’ said organiser Sue Markham. Please click here for more information. VAZON Coast Road is a well-known haunt for speeding motorists. But on Saturday, 100 fortunate islanders were allowed to drive at more than 35mph for charity. Please click here for more information. It was a groundbreaking project with Guernsey women at its heart and now researchers view blood, urine and saliva collected here decades ago as some of the most precious in the world. Nicci Martel reports on how work on the samples has expanded to include other cancers and heart disease. Please click here for more information. The information below was Published in The Globe on 13th October 2010. Please click here for more information. SALLY HOWLETT is an example of the importance of being breast aware. With a history of breast cancer in her family, she went for regular mammograms. But it was checking her breasts at home that found the cancer, which had not existed six months previously. Please click here for more information. - 28/10/2010 Please click here for more information. AROUND 50 local women are diagnosed with breast cancer every year. The breast unit, which is based at the Princess Elizabeth Hospital, sees patients referred for screening and those who have a lump or breast pain. Please click here for more information. OCTOBER is Breast Cancer Awareness Month. As part of this, islanders are being advised to be breast aware and attend screening appointments. Please click here for more information. CANCER research part-funded by Hope for Guernsey may achieve its goal sooner than thought thanks to advances in technology. The Southampton University project, which uses blood samples taken from 11,000 Guernsey women, has made excellent progress, it was revealed last night during a presentation at St Pierre Park. Its ultimate aim to create a blood test to detect early onset of breast cancer could be achieved within 10 years, said Paul Townsend, professor of molecular cell biology at the university. Please click here for more information. MOTORISTS will get the chance to sprint in their road cars for next month. 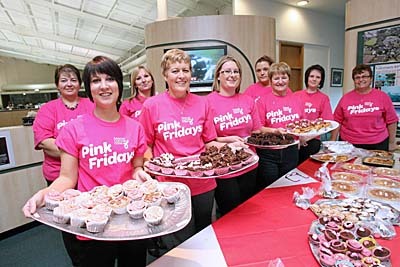 The ‘open to all’ event on 23 October will raise money for breast cancer charity the Pink Ladies. 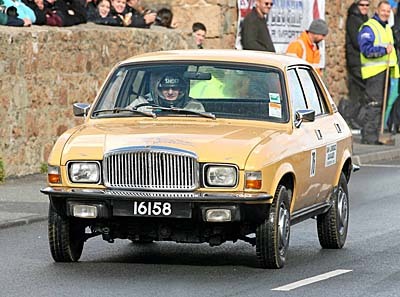 The public Vazon sprint was the idea of Guernsey Motorcycle and Car Club president Bill Cohu, who wanted to offer islanders the equivalent of a track day. Please click here for more information. 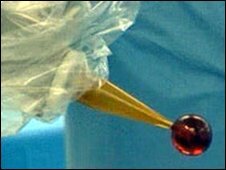 A single dose of radiation during surgery is just as effective as a prolonged course of radiotherapy for breast cancer, a study suggests. Please click here for more information. THE inspirational work of an unsung hero has been recognised with a donation to the charity she helped launch. 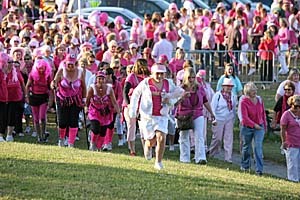 Anne McMillan was a co-founder of breast cancer support group the Guernsey Pink Ladies and instrumental in organising the sunset coastal walk that attracted 2,000 entrants and raised thousands of pounds for the cause. 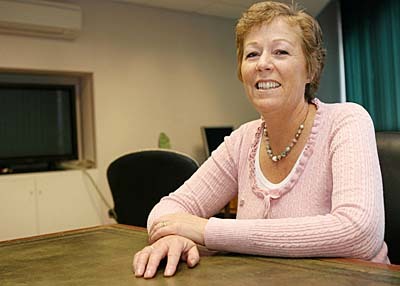 She died of an unrelated cancer in 2008 but, on behalf of the Guernsey Press, assistant editor Suzanne Heneghan nominated Anne posthumously for the award of Guernsey’s unsung hero at the Awards for Achievement, held earlier this month. GEP article by Zoe Ash Please click here for more information.